The shower began on Thursday and will continue through to Monday, though the early hours of Saturday morning should be the best time to catch a glimpse of the meteors. 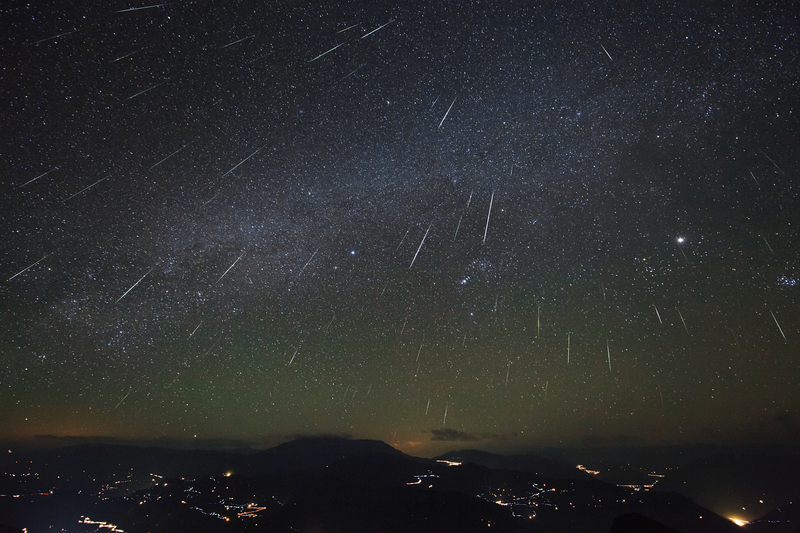 "Of all the debris streams Earth passes through every year, the Geminids are by far the most massive. When we add up the amount of dust in the Geminid stream, it outweighs other streams by factors of five to 500," said Nasa astronomer Bill Cooke. The yearly shower takes its name from the Gemini constellation, where its parent asteroid, 3200 Phaethon, is thought to originate. In this Dec 13, 2012 file photo, a meteor streaks across the sky during the annual Geminid meteor shower over Springville, Ala. 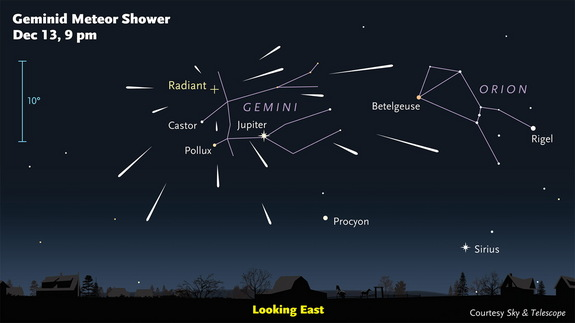 The annual Geminids meteor shower this year will peak on Friday night, Dec 13, 2013. But the best viewing may be early on Saturday.